David ‘Jim’ Penman’s sister says she was ‘sacked on the spot’ eight years ago. Picture: catherinemoolenschot.com.au. THE sister of Aussie franchise giant David "Jim" Penman has made the explosive allegation he left her "poverty stricken" after sacking her from his multimillion-dollar company. 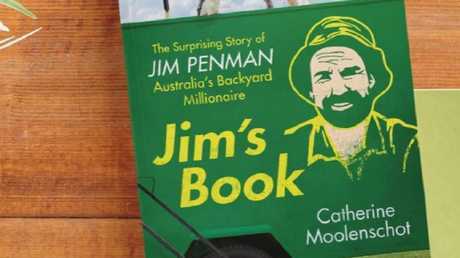 News.com.au spoke to the Jim's Mowing founder earlier this month ahead of the release of a new biography by novelist and TEDx speaker Catherine Moolenschot. In that interview, Mr Penman, whose business rakes in $500 million a year, spoke about the "horribly unfortunate" situation that led to him firing his own sister eight years ago. "She still hates me … she got another job within a few months but she's never forgiven me and I don't blame her," he told news.com.au at the time. "But you can't keep someone on just because they're family if they're not doing the job because it demoralises every other staff member … You can't just give someone a job, they have to deserve it." 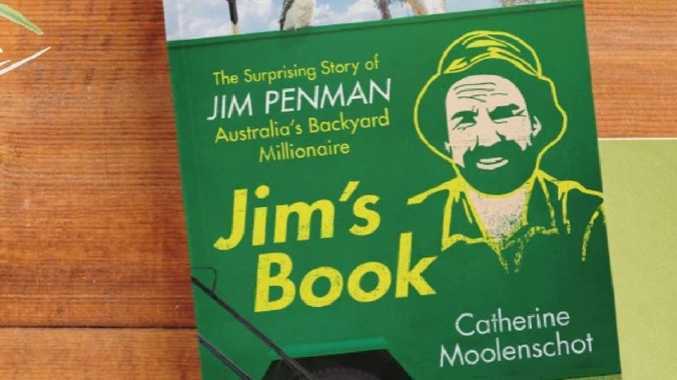 But the Melbourne woman claims her first issue with her brother took place years earlier, when she ran a trade exchange franchise of Jim's Group in Tasmania with her former partner. Today, the company has an annual turnover of $500 million. According to Ms Moxham, after asking her brother to defer fees for a couple of weeks to allow the couple to sort out a business "hiccup", he reacted by pulling that entire division of the company. "We went from owning the business and working 60-70 hours a week to nothing. I didn't speak to him for a couple of years after that because I thought that was rock bottom," she said. But the siblings eventually reconciled, and years later, after Ms Moxham had spent a decade living and working in project administration on a major rail project in the UK, she claims he told her during a phone call that he could "really use someone with your skills in head office". Ms Moxham agreed to return to Australia and work for her brother's company, although she alleges he agreed to cover the costs of replacing a range of whitegoods she had recently bought, as well as pay $20,000 to cover other costs of relocation. But according to Ms Moxham, it didn't take long for things to sour, and she said she blamed her own "stupidity" in believing he would do the right thing by her. She said by the time she touched down in Australia, Mr Penman had changed his mind about the job he wanted her to do, instead telling her he wanted her to run a new division of the company concerning debt collection - an area she had no experience in. However, the pair reached an agreement - although Ms Moxham claims her agreed salary was cut "by one third" - and her new role was in administration and compliance. Ms Moxham then started working with the IT, legal and accounts teams to set up a compliance system - but claims that three months into the three year contract she was again told she was no longer needed and was "sacked on the spot". After losing that job, Ms Moxham said she relied on benefits, charity and handouts from friends to get by and was regularly reduced to eating rice and soy sauce as she couldn't afford other food. She said her brother knew she was "poverty stricken" and also claimed the company had a "revolving door" of staff members, some of whom were fired after working for the company for years. "I was told I could take him through the legal system because of the three-year contract we made but I decided not to because I thought he would just do everything he could to delay it - the usual CEO thing with litigation until the other person runs out of money and gives up," she said. "I didn't want to go through the stress of it again. "He didn't sack me for incompetence, that's the main thing I want to get across. I have a job now that I absolutely love, and I don't want to be compromised because of his bullsh*t.
"I'm not doing this because I want anything from him, I just want to stop the lies he's telling about me." In a statement sent to news.com.au, Mr Penman denied his sister's claims. 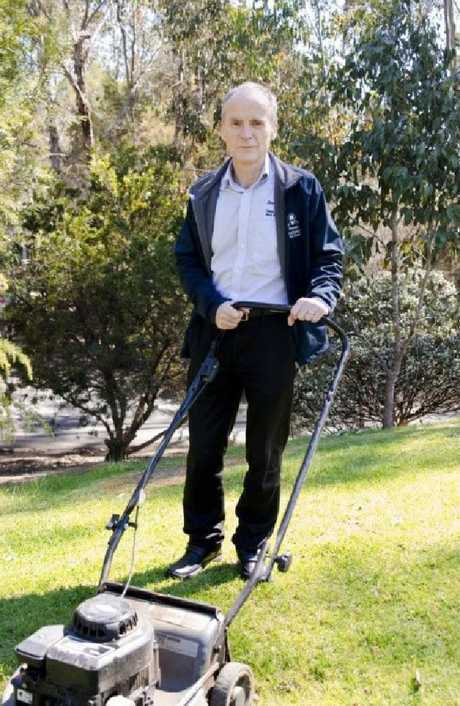 Jim's Mowing has 4000 franchisees servicing 35,000 customers a day. "With respect to the relocation costs, I wouldn't normally offer a large sum to a junior staff member with no relevant experience, but it meant a great deal to our mother to have Gill with her at the end of her life," he said. 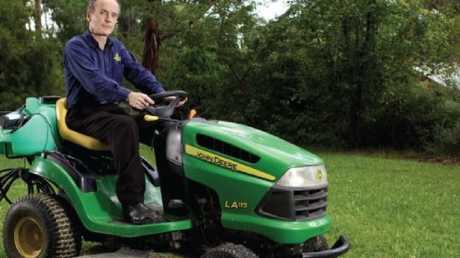 "Any family member that works at Jim's Group is treated like any other employee. I care about each employee at Jim's Group and always want them to succeed. To that end, I gave Gill the opportunity to work in several different roles within our organisation but received consistent feedback from her co-workers that she was underperforming. "My franchisees' livelihood and our customers depend on me and I need to ensure I have the best people in place. To keep her on would have undermined and demoralised my staff and let down the thousands of families we serve. "It was a challenging situation at the time, and I could have handled it better given the sensitivities of mixing family and business. I certainly would have helped her. She had made it very clear that she didn't want any contact from me. "I wish her all the best and hope we can be reconciled one day." But Ms Moxham said the siblings "will not be reconciled". "Interesting that I have received many comments from both staff and franchisors that I did a great job under difficult circumstances. He has changed this story so many times," she said. 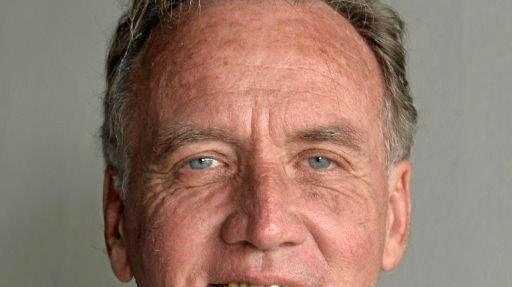 "I did tell his wife, very clearly, and in detail, of my dire financial situation. "I have also reached out to him since, detailing all the issues - he responded on one issue only, and that certainly wasn't about my finances. "He (has a) distorted and confused memory of events."